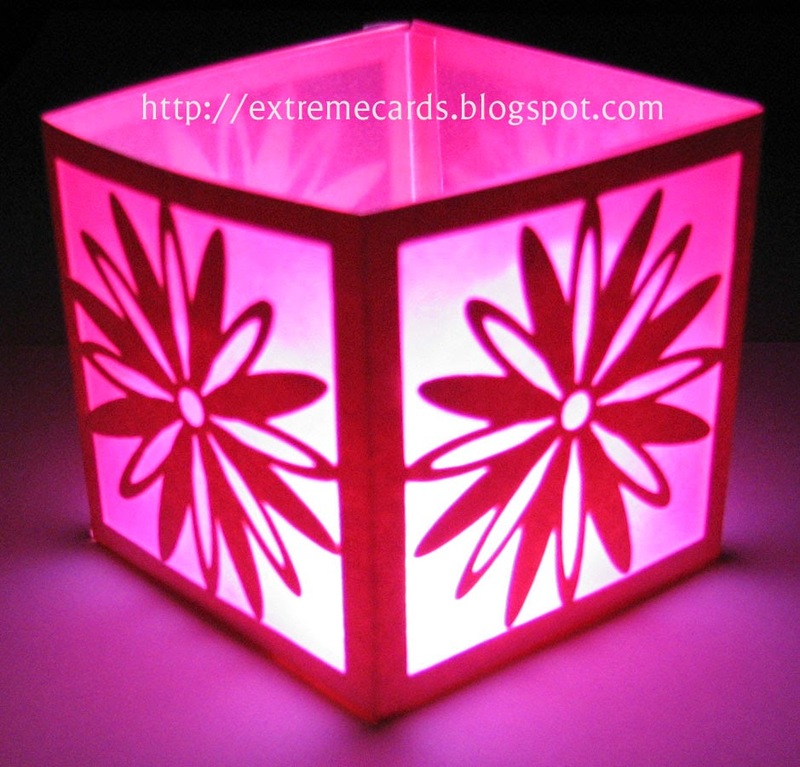 This little open lantern or votive candle holder is lighted by a battery operated tea light. 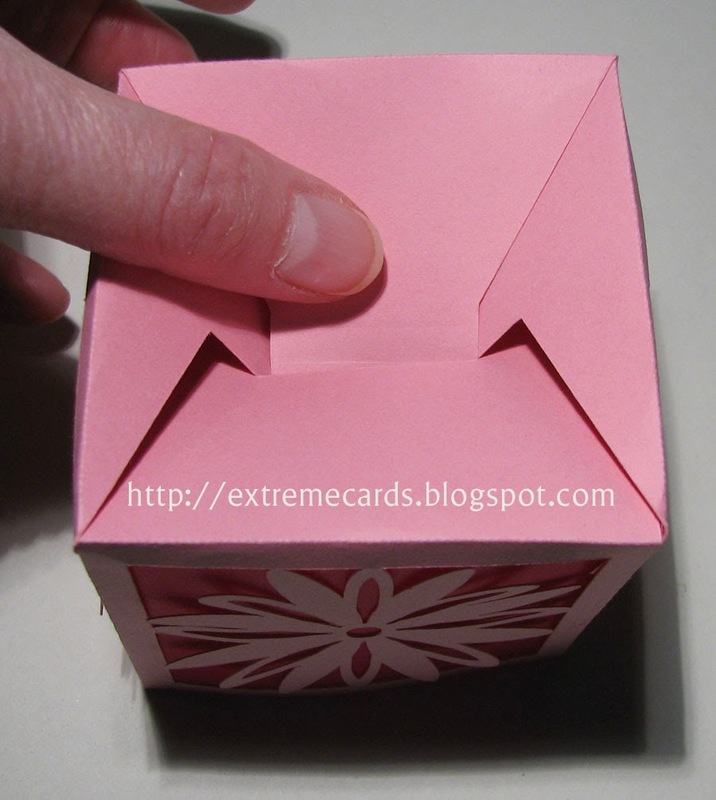 The cube measures approximately 2.75" on each side. 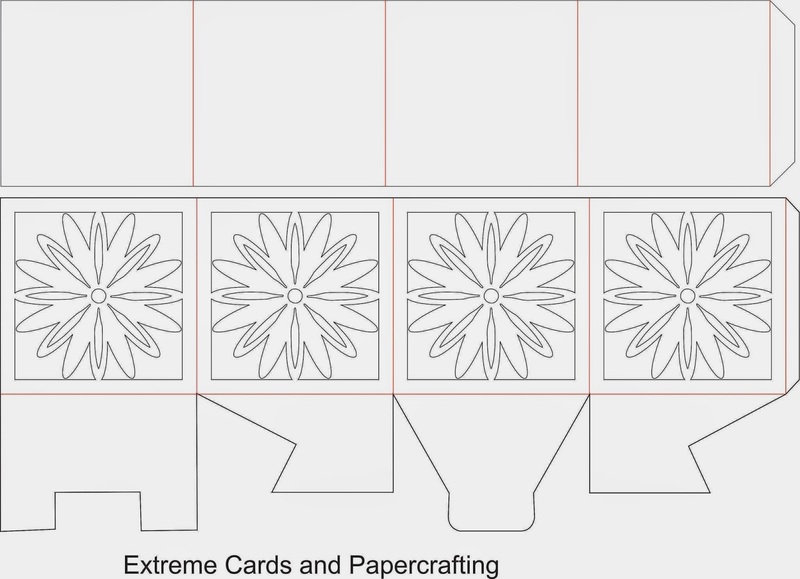 The inspiration for the layered daisy came from this framed daisy card. 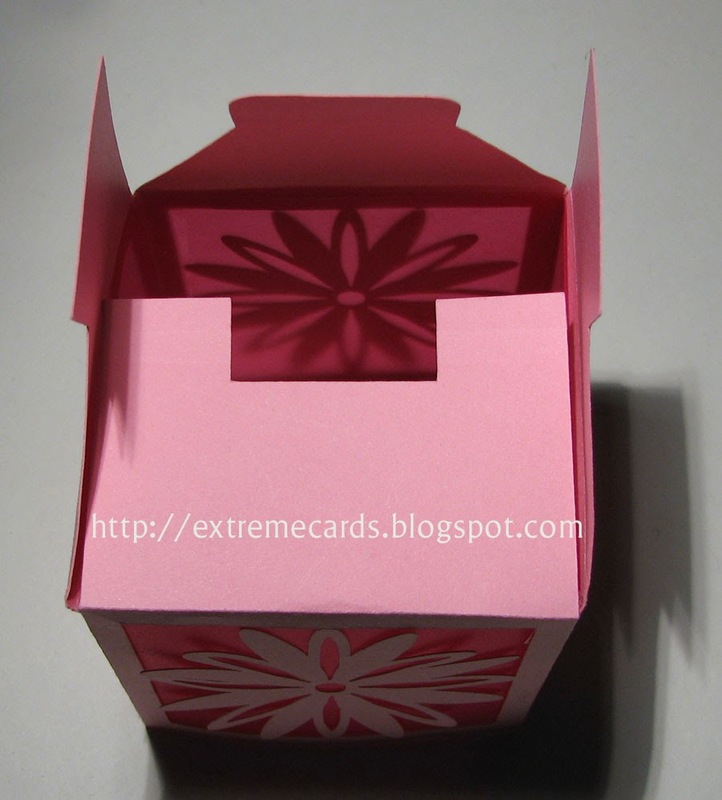 The cut paper frame can be lined with vellum, or not. Download cutting files: PDF, SVG (works in Cricut Design Space), DXF, Silhouette Studio. 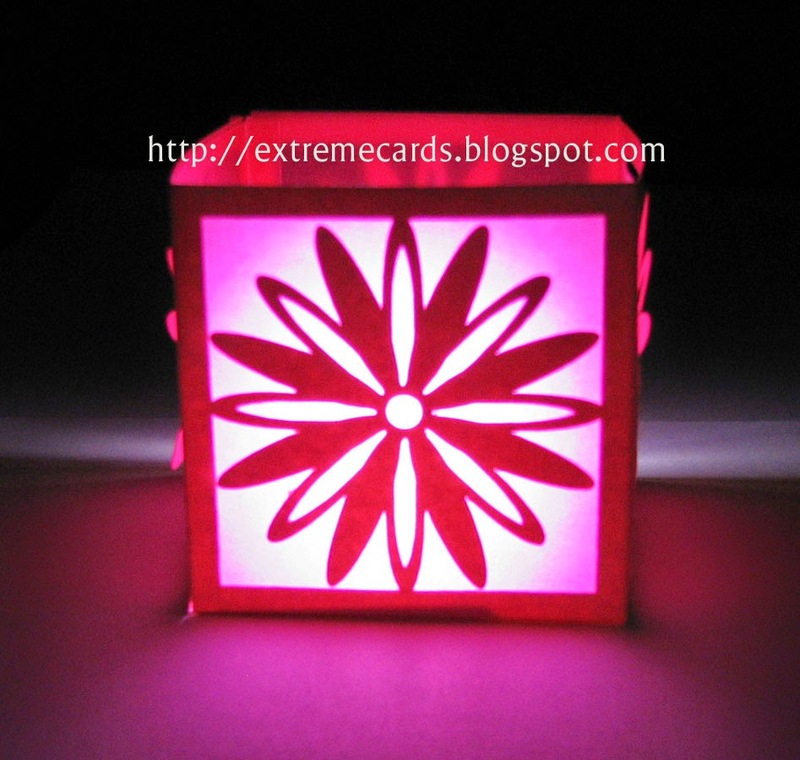 Cut and score daisy lantern piece. Cut long rectangle from vellum if desired. Score. 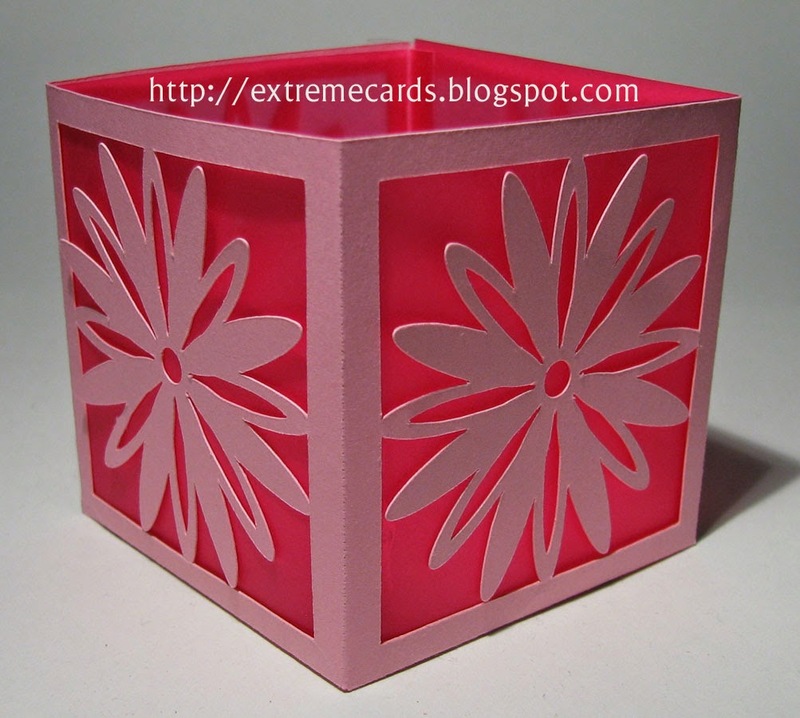 Assemble daisy piece, adhering long tab, forming an open cube. 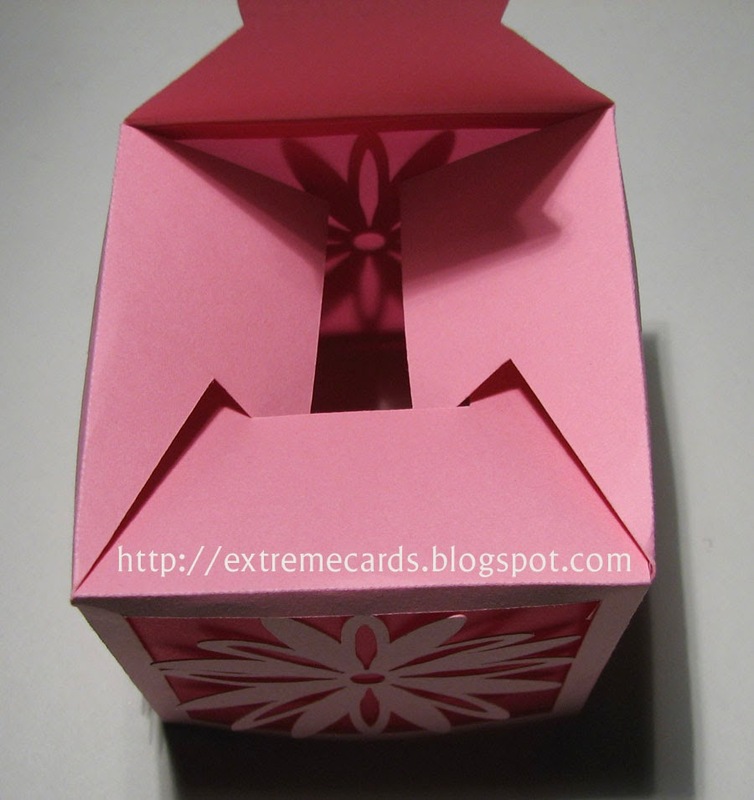 Fold in and tuck the bottom tabs, first the U shaped piece, then the slanted sides, then the tongue-shaped piece. 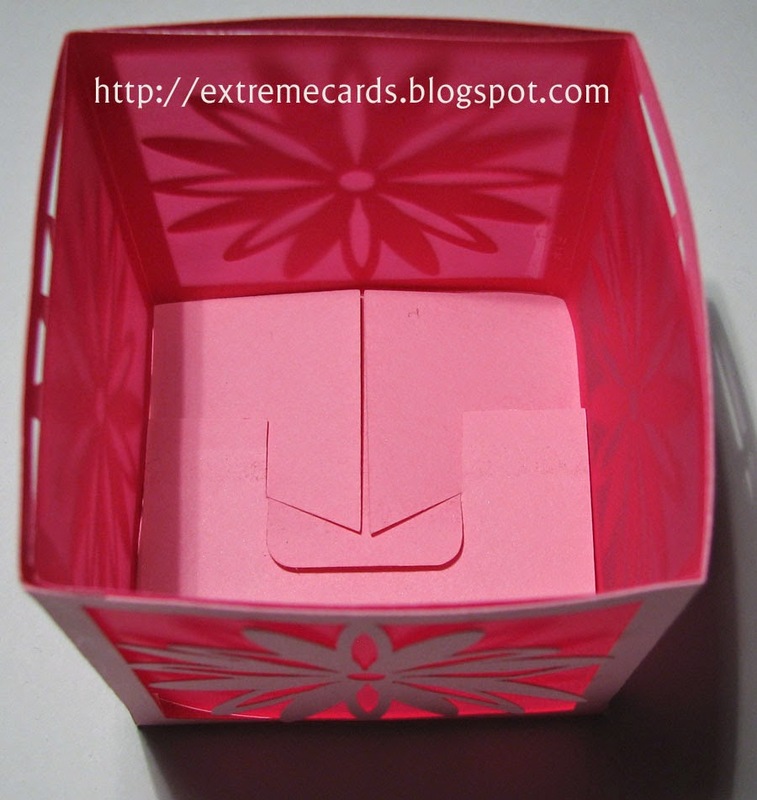 Assemble vellum insert, adhering with the long tab, and slide inside the daisy cube. I used 30 lb vellum paper from Jam Paper. Light with battery tea light.